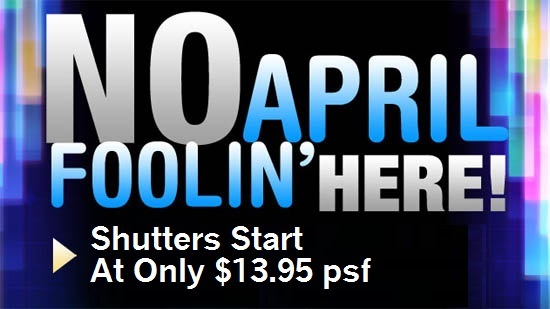 Best Price On Quality Plantation Shutters in SoCal! Standard Plantation shutters. 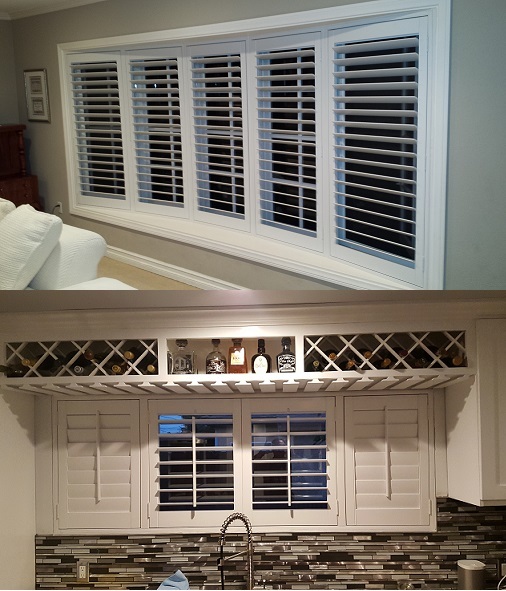 The top picture is a Sunland Polycore Plantation shutter installed in a BOW window. We had to pay attention to the curve to conform to the existing window. This shutter was an Inside mount simply because their was no place else for the frame to go but inside. We used the Sunland Polycore shutter do to the sink and moisture. This Norman Woodlore Plus Shutter was requested to have two breaks inside the Invisible Tilt system. French Doors are quite complicated to make, and their are a lot of measuring points to pay attention to. Some French doors have recessed glass the allow the shutters not to have to much of a projection. Just note that if you choose a 4 1/2" Louver there will always be an extension of the frame from 1/2" up to 1 1/2" depending on the manufacturer you choose. Specialty shapes are by far the most complicated shutter to measure for. 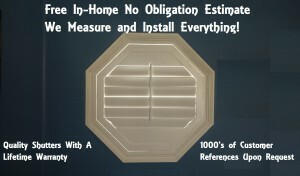 If it is requested to do an Inside mount specialty shape shutter than a paper template is usually required. This template is usually shipped to China before production can begin, so there is a minimum of a week or more delay. If the window is perfect which is usually hard to find than a template is not required. Outside mounts (on the drywall or Frame) are easier since we don't have to work within the constraints of the window framing. 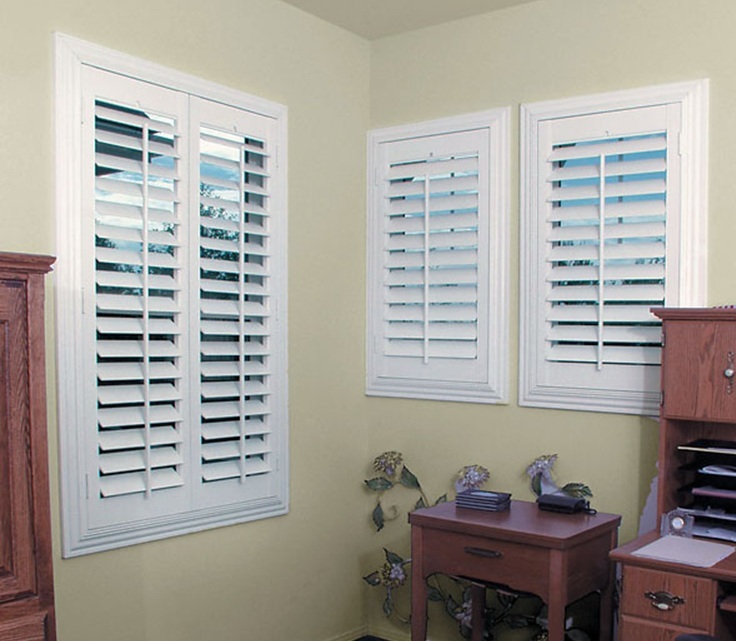 Basswood Stain Plantation Shutters are really beautiful to look at. 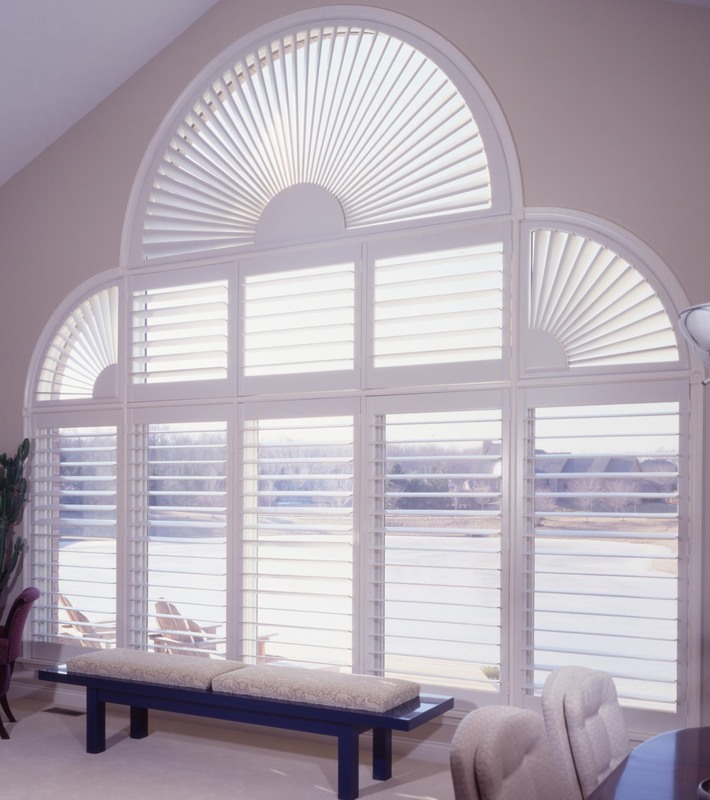 Since we carry High Quality Basswood Shutters you can be sure that you will have years of enjoyment from these rich colors and features. 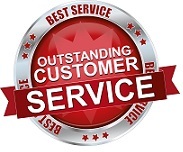 •Norman Woodlore Offers a LIFETIME WARRANTY ON THEIR SHUTTERS - NO other manufacturer in the Industry offer this kind of dedication and confidence that their product will last! 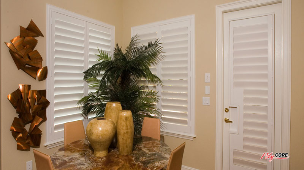 Onyx Shutters offers the highest quality wood plantation shutters on the market. 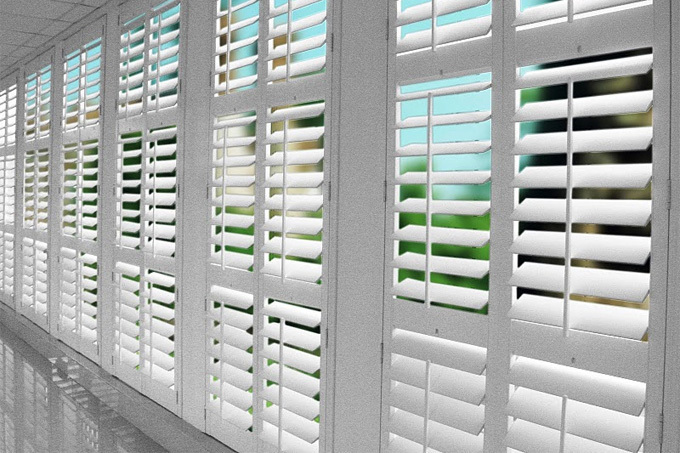 These imported shutters have the longest warranty, have more design and features than any other shutter company. We can fit any window including arches, rakes, sliders & french doors. Using traditional hand craftsmanship as well as the newest quality control technologies, Onyx shutters provides a perfect combination of beauty and practicality. 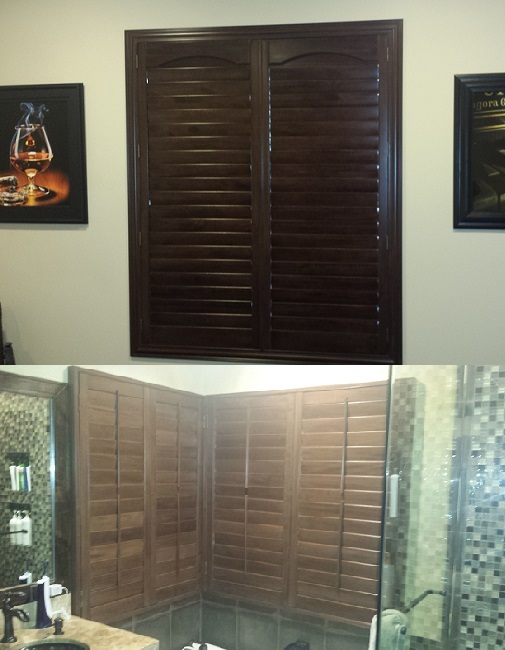 Onyx shutters offers many frame selections and popular paint and stain colors. 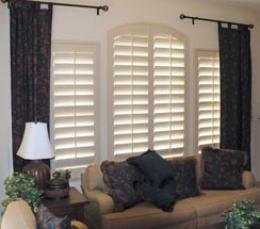 Their Poly Core shutters are one of the top made shutters on the market today. Sunland Shutters is backed by a publicly traded aluminum extruding company. 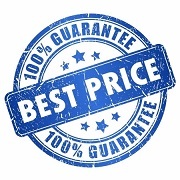 This allows them to keep their cost down and quality up. The PolyCore plantation shutter uses a baked on waterborne paint making this shutter both fire retardent and moisture resistent. It is also the only shutter on the market with a co-extruded aluminum core inside all of its components. This feature allows you to have the wide panel width of a wood shutter and the durability and easy cleaning of a polywood shutter. 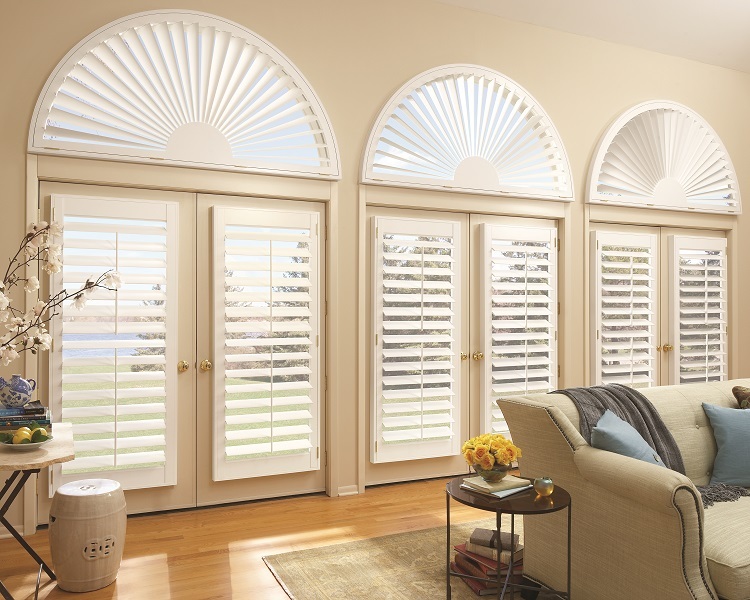 Our PolyCore line of shutters features 8 frame selections and is available in 4 different colors. 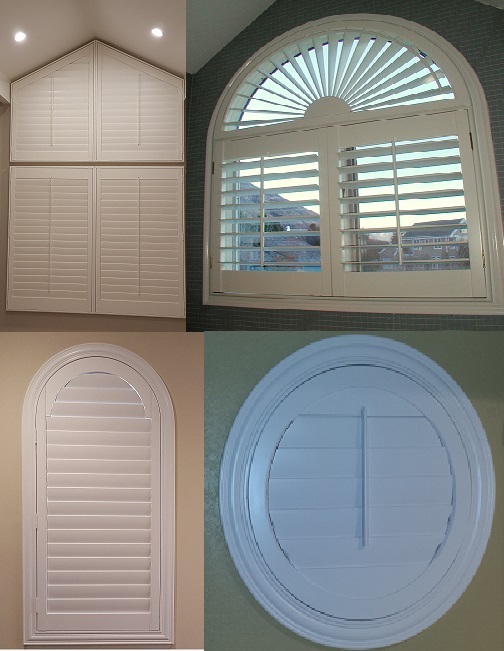 Since 1983, ShutterSMART is one of the largest plantation shutter manufacturers in the United States. 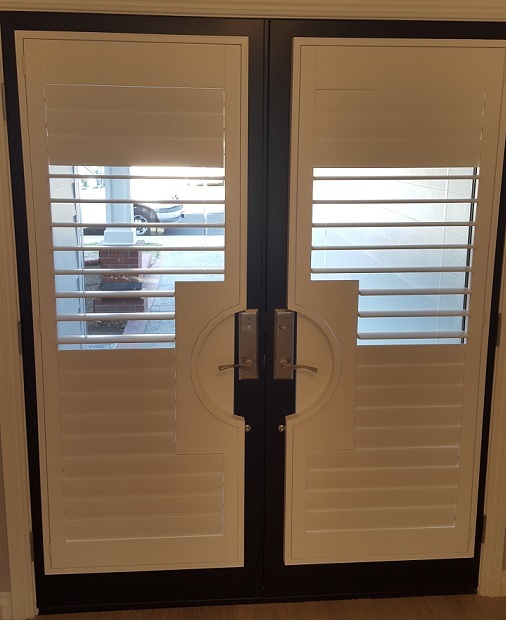 The Polyclad Hardwood Shutters have provided consumers a superior, “green” alternative.Constructed from a patented hardwood and polyresin blend, TWISTLOCK tilt bar connectors and tilt bar, these shutters are warranted not to crack, warp or discolor making them ideal for any application in your home. Arches that can stand alone or pair up with our other products, such as the EX100 or usually available at a lower price than a custom made sunburst arch shutter. 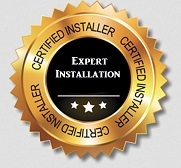 The above list of Large Plantation Shutter Manufacturers is whom we primarily buy from. 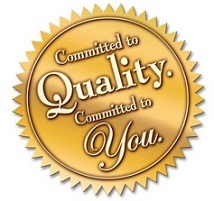 However, we do carry some smaller local manufacturers.